A dramatic reading of one of our books! 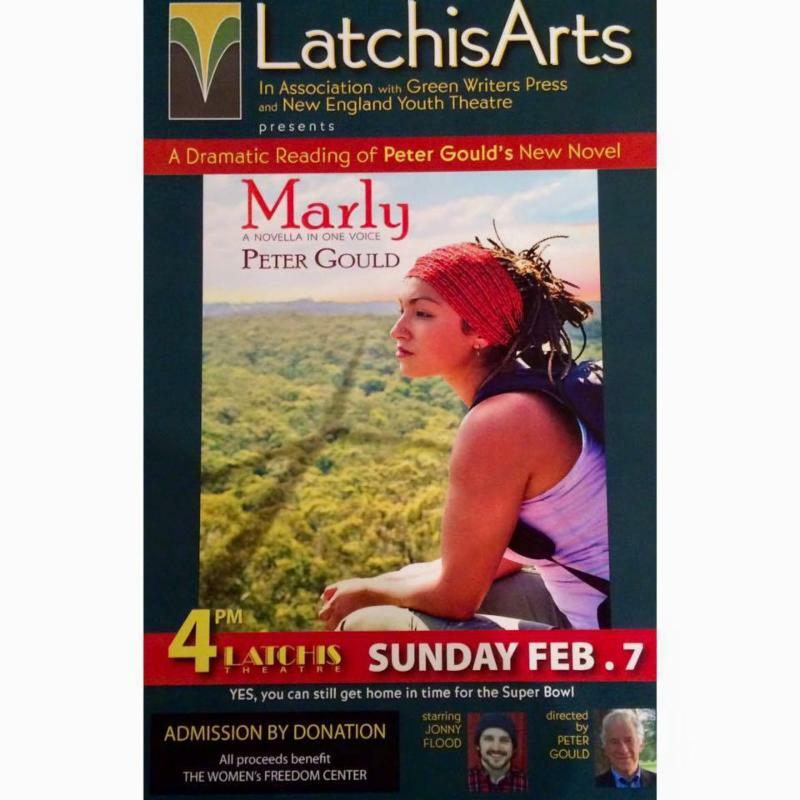 Latchis Arts, in association with Green Writers Press, presents a dramatic reading of Peter Gould’s new novel, “MARLY,” starring Jonny Flood and directed by Gould on Sunday, Feb. 7, at 4 p.m., in the Ballroom Theatre at the Latchis. “Marly“ is dramatic climate fiction in a new literary form. To find out what that means, read it, or hear it read aloud, or both. Green Writers Press is a new Brattleboro-based publisher lighting up the New England literary landscape with high-quality books on ecological themes. Come to the reading, and talk with Dede Cummings, founder of GWP, and her Bennington College interns. Gould, author of three well-known published novels, is a professor in the Conflict Transformation Program at Brandeis. He’s the smaller, quieter half of the renowned theater duo, Gould & Stearns. Jonathan Flood has been doing theater non-stop with Peter since he was 12 years old. He’s the director of several “Get Thee to the Funnery” youth theater camps, and he’s also the new Education Director at NEYT. The fictional female character, Marly, teaches at a small Vermont College, where she specializes in forestry, wildlife habitat, chainsaw technique and self-defense for women. She’s a survivor of domestic violence; strong and self-actualized as she is, she still suffers from the after effect of the attack. Please come and enjoy the reading, support the Freedom Center, and join the discussion. You’ll be home in plenty of time to watch the Super Bowl, if that’s your thing. This entry was posted in Climate Change & Action and tagged Brattleboro, Climate change, drama, Environment, fiction, humor, latchis arts, novella, survivors of abuse, vermont, wind power, women on February 5, 2016 by Dede Cummings.